These are the foals for 2002. More Foal Pictures! 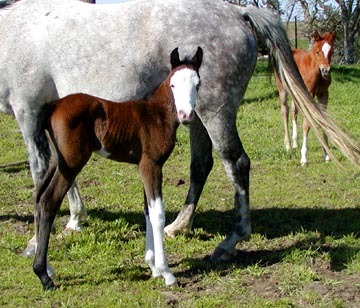 This is Blue's first foal. 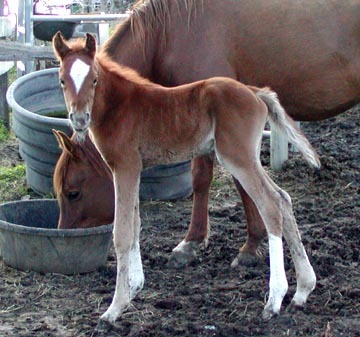 She had a beautiful filly. This is also Colten's first year to be a daddy and he gave this little girl a pretty bald face along with one blue eye! She has several white spots on her belly. We were hoping for more white, but she is awfully pretty! This little boy is just about perfect! He has beautiful conformation. He didn't have any spots, but lots of white on his legs and face. He isn't afraid of a thing!